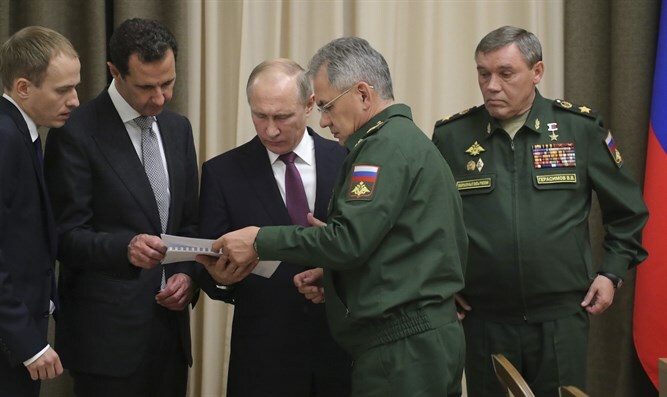 Syrian president conveys via Putin possibility of Golan demilitarization. Israeli official: Israel will attack Iranian activity near border. During his visit to Sochi last week, Syrian President Bashar al-Assad conveyed to Prime Minister Binyamin Netanyahu a message that Damascus was ready to discuss the disarmament of the Golan Heights up to 40 kilometers from the separation line, and to examine autonomy for the Kurds and Druze in the country as part of a comprehensive agreement that would leave the current Syrian regime in power, according to the Kuwaiti newspaper Al-Jarida as reported by Nana 10 news. 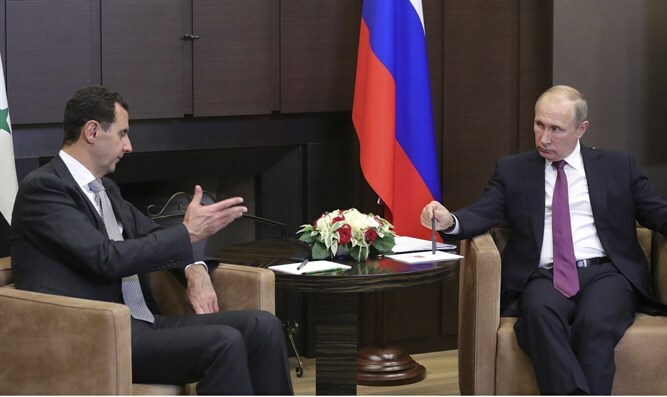 According to the report, a Western source also told the newspaper that in Putin’s telephone conversation with Netanyahu after the meeting, the latter assured his Russian counterpart that he was ready to discuss Assad’s demands with the Israeli security institutions. However, he stressed the necessity of removing Hezbollah and Iran from Syria. The source also said that a senior Israeli official recently said that Israel is certain that Assad is to be the last Alawite president in Syria. The source added that he expects the Syrian crisis to increase after the ISIS defeat, especially if “Tehran continues to play with fire”, noting the Iranian presence in southern Syria, and that Israel has stressed that it will attack Iranian installations and activities within 40 kilometers of the Golan Heights. According to the source, the official also said that “Syria will not be the same again as it was in the past, and it is determined to be a federal or confederate state.” In the meantime, the source added that according to the senior official, Lebanon would not be immune to such a move taking place, and the new map of the region would reflect this.